Very pleased with this kb. Side print is clean and easy to read. The removable cable is USB micro-b to USB type-A (standard). And there are four dip switches on the back for controlling the layout of the Fn key position. No switch for Mac layout. You'll have to use software to swap command and alt if you use macOS. There are wide rubber feet on the back, and they are quite sturdy. There are 2 additional height adjustments you can set as well. Only con I have is the spacebar on mine is extremely sensitive and triggers from the slightest brush of the finger. 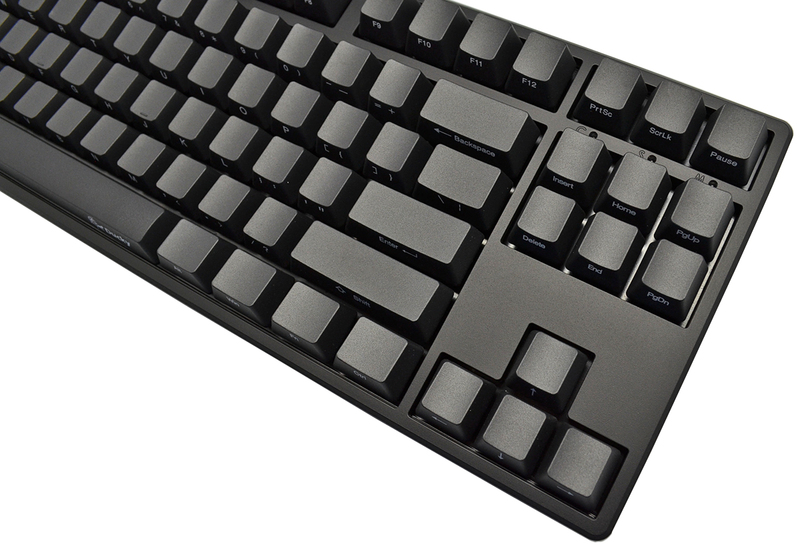 Things this kb doesn't have: backlight LEDs, media controls, and mac configuration. 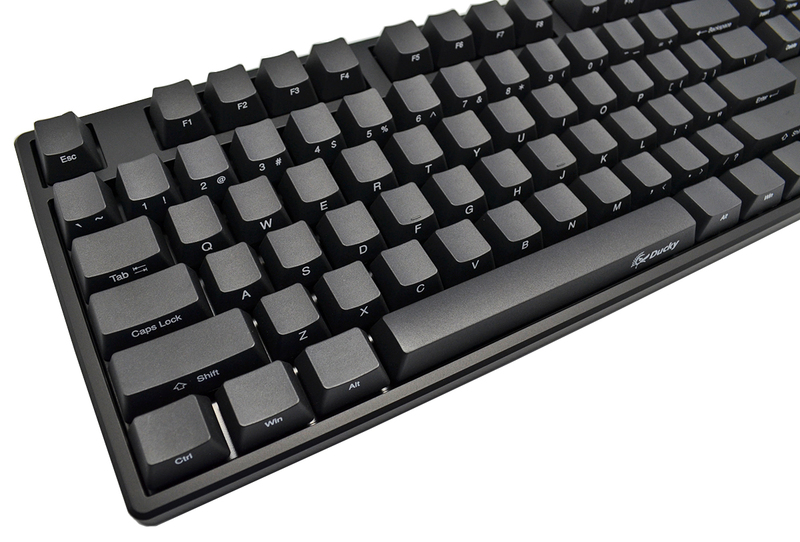 But it does come with a keycap puller, plastic cover, and extra purple colored caps for these keys: Enter, Esc, Backspace, and Arrow keys. I'm pleased with the keyboard. Note it: it has only 2 screws to unscrew if you want to take it apart. 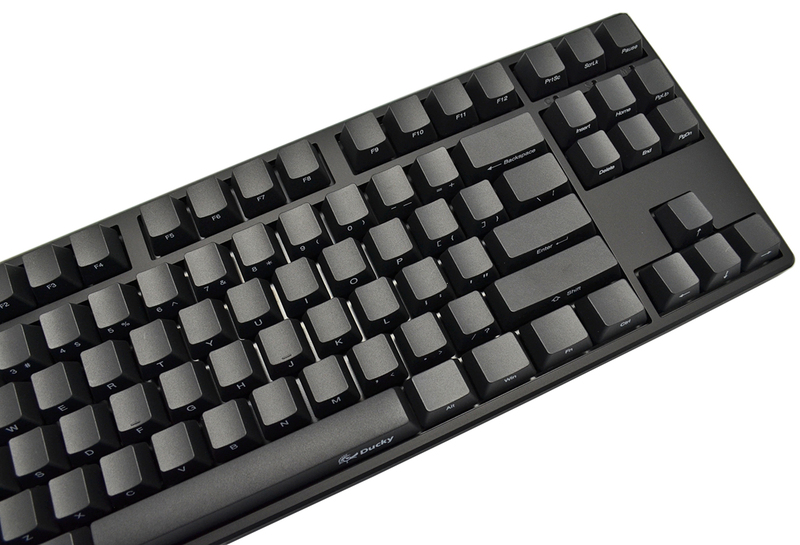 This is a well built solid keyboard and is a perfect silent option for the office with brown switches. Mechanicalkeyboards.com also has great customer service and I will defiantly continue buying keyboards here. Would highly reccommend this model! if it had backlighting it would easily be over 5 stars.